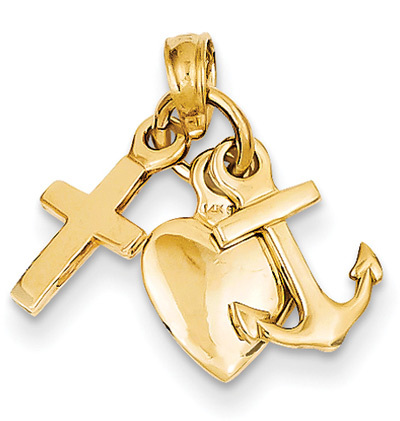 Cross, heart, and anchor charm pendant made in 14k yellow gold. Each pendant measures just under 1/2". We guarantee our Cross, Heart, and Anchor Charm Pendant in 14K Gold to be high quality, authentic jewelry, as described above.